Thought I'd share a small piece of Springbok Radio nostalgia from circa 1962. A recent mention of "The Cliff Richard Show" (from the 1960s) on the Springbok Radio Facebook Group prompted me to find a reel-to-reel tape recording (circa 1962) of the programme. The sound quality is not that great (recorded by my late father Arthur Deacon on an old Philips reel to reel tape recorder via a microphone at a distance from the family radio) but worth a listen for those interested. "The Cliff Richard Show" was presented by Lowell Johnson and sponsored by Wilson-Rowntree (the makers of Rountrees Smarties). The rest of the programme (just under 13 minutes in length after some minor tape editing) included announcements and Cliff Richard updates by Lowell Johnson - some titles aired for approximately a minute and were faded for additional "Roundtrees Smarties" advertisements before fade-up until the end of the song. Pleased to receive a verification and notification of the official launch date (October 1st at 0400 UTC) from Magic 828 via Facebook this evening in response to a reception report of the test transmission heard on 828 kHz during the evening of September 4th, 2015 as described in my previous post.
" That's definitely us Gary! Thank you for the positive feedback Tune in on Thursday at 6am for our official Launch with Magic Breakfast with Guy McDonald ". 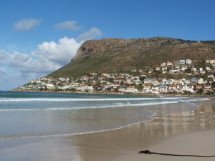 Magic 828, Cape Town is transmitting on 828 kHz (25 kw) with a test broadcast of classic hits and pre-recorded station identification announcements - an excellent signal here in Fish Hoek at the moment. Erecting the Magic 828 antenna mast, situated at Klipheuwel, Western Cape (photographs courtesy Vaughan Taylor). It was a pleasant surprise to hear WQAM Miami, Florida (a South African first) which made it through to Cape Town over a distance of 12 309 km (7 648 miles) on 560 kHz back on September 12th, 1986. The station (listed 1 kw nights) was heard briefly during a local sunrise enhancement peak at 0450 UTC in Pinelands via the FRG7 and a modest 30 metre longwire antenna (To the best of my knowledge the WQAM mediumwave signal has not been logged in South Africa since). I typed up a detailed reception report and mailed a letter to the station. Unfortunately, my letter was returned due to the fact that I did not provide an accurate address for WQAM at the time. Fortunately, I managed to locate the original cassette recording of the memorable trans Atlantic reception. An audio clip of the brief reception until a second station identification, interrupted by the simultaneous end of the cassette tape! The previous WQAM self supporting antenna tower situated in Biscayne Bay behind the Miami Herald Building, next to the Venetian Causeway (Microsoft Maps satellite image). It was a pleasant surprise to hear KTWG Agana from the Pacific island of Guam for the first time on the 23rd March, 2006 via the FRG7 and 220 metre BOG at Fish Hoek. The station made it through over a distance of 14 175 km / 8 809 miles. I'm pleased to see that you were able to get quite a bit of understandable audio during your reception of our signal. We are a non profit Christian radio station utilizing a 10000 watt transmitter. Please let me know of future receptions. Blessings to you and yours in South Africa! I was also fortunate to receive the above friendly post card from Leilani which certainly provides a pleasant tangible reminder of the reception! JOFR Fukuoka was heard on 1278 kHz during the 2006 Jongensgat dxpedition. The station made it through with surprising good peaks! Kiyomi Yamashita kindly verified my email report and added that the entire staff was surprised at the reception in South Africa. I was also fortunate to receive a QSL card from RKB. 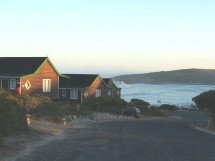 It was interesting to hear radio stations from Argentina, across the mediumwave band on frequencies usually dominated by Brazil, during the April 2007 dxpedition to Jongensgat. Radio Mitre, Buenos Aires on 790 kHz was one of the stations from that part of the world to make it through with a huge "local quality" signal (audio clip below). Monica de Carvalho kindly verified my Spanish email report. Thanks to dxer Chuck Hutton for kindly assisting with the Spanish report! Bayern 1, Munich on 801 kHz was heard on the 12th September 2006 during the Seefontein Dxpedition. Ines Bergmoser from New Technologies was astonished at the distance of the reception and kindly verified my reception report with a friendly email reply. 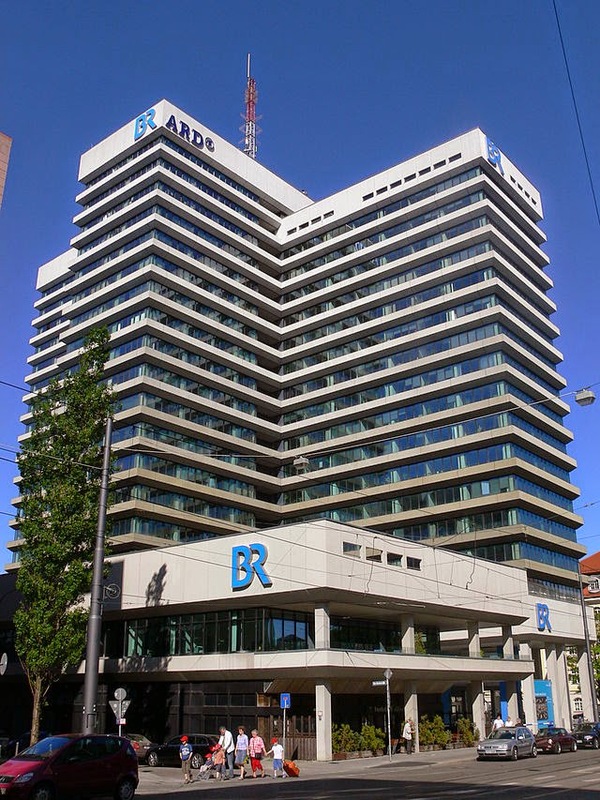 The Bayerischer Rundfunk (Bavarian Broadcasting, BR) headquarters, situated in Munich (photograph wikimedia commons). Radio Sweden, Sölvesborg on 1179 kHz used to make it through to Fish Hoek on occasions via the FRG7 and ALA1530 loop antenna. I was fortunate to receive a QSL card in response to my email reception report for the medium wave reception on the 11th September 2006 during the Seefontein Dxpedition. Managing Editor of English programming also responded with a friendly email and added that their technicians were very happy to hear that the MW broadcast reached South Africa. It was also a pleasant surprise to receive a friendly and informative letter from Service Technician Hakan Widenstedt who kindly included interesting information with photographs of the antenna system and a Terecom pendant. 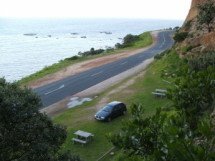 I remember, in the very early days of the Sölvesborg station, there was a reception report from one famous DXer Arthur Cushing in New Zealand, but these occasions are of course very rare ... "
Radio Sweden ceased broadcasting on MW and SW on the 30th October 2010 at 2159 UTC. NRK Kvitsøy on 1314 kHz used to be a regular visitor via the FRG7 and ALA1530 loop antenna in Fish Hoek.
" ... I am amazed to hear that you could listen to NRK Europakanalen in your beautiful town in South Africa. I can confirm that it was our channel you were receiving. It is now closed down, since the 1st of July (2006) ... "
DZAR Manila on 1026 kHz was heard at Millers Point on the 12th July 2006 via the FRG7 and 40 metre antenna. On behalf of our Pastor, Rev. Pastor Apollo C. Quiboloy, our President and CEO of our Radio & Media Network, we thank you for your email. 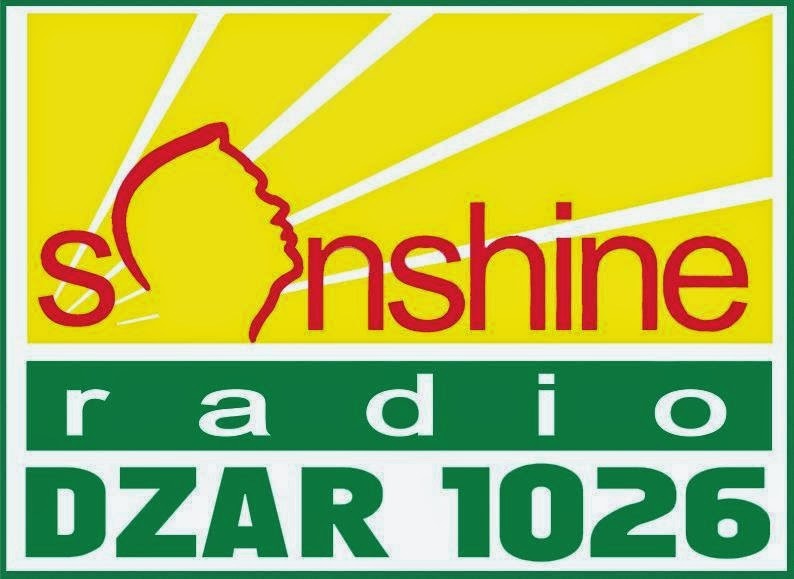 Thru the audio clip you have attached, we hereby confirm that indeed it was our radio station DZAR 1026 kHz in Manila, Philippines which you have heard last 12th July 2006 at 5:35 am also last July 4th. It is really wonderful and it never ceases to amaze us how you are able to hear the signal from our radio station from a very remote/far place such as yours. Should you want to know more about us, do drop by our website : www.sonshineradio.com and we also have our online radio available! Anyway, we do hope to hear from you again. 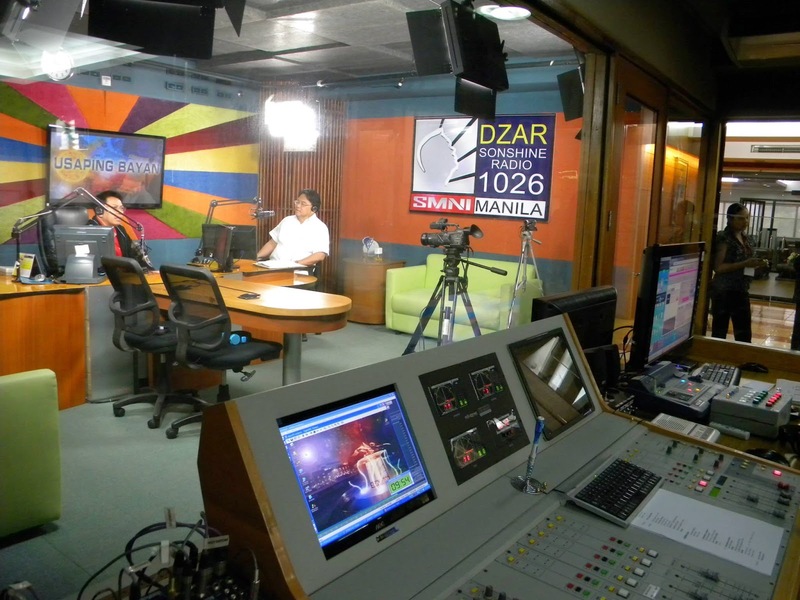 The DZAR studio, situated in Manila, Phlippines. Another mediumwave radio station from the Philippines to make it through to Millers Point was DYAB Cebu City on 1512 kHz. The station was heard here for the first time on the 13th September 2006. 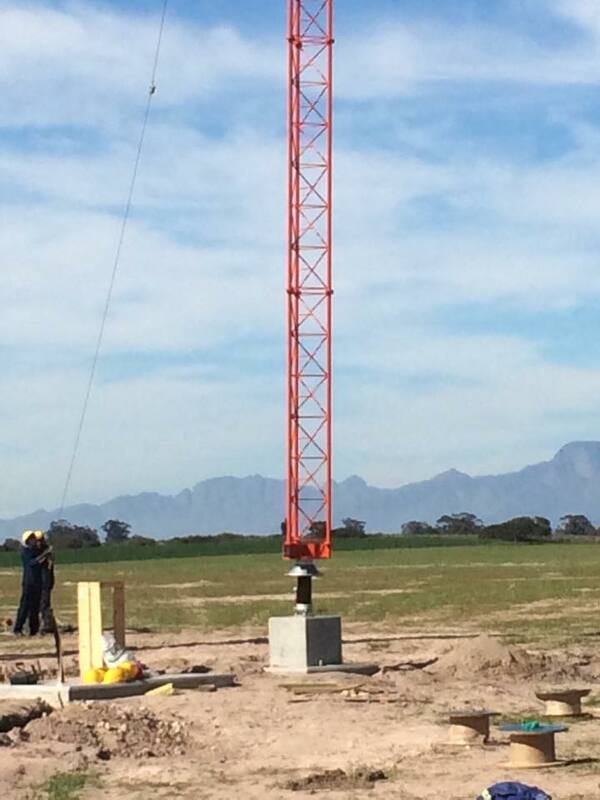 Thank you very much for taking time out to inform us about DYAB AM's signal reaching South Africa. We have signal problems in Cebu and neighboring provinces like Bohol, Negros Oriental, Leyte and Samar so we're glad that we could also be heard in other areas of the globe. You have a great hobby and thank you for the nice feedback. 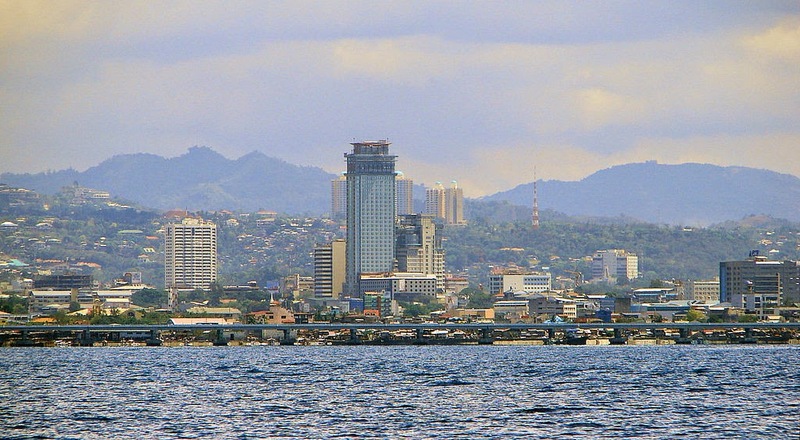 Cebu City, Philippines (Photograph Wikimedia Commons). 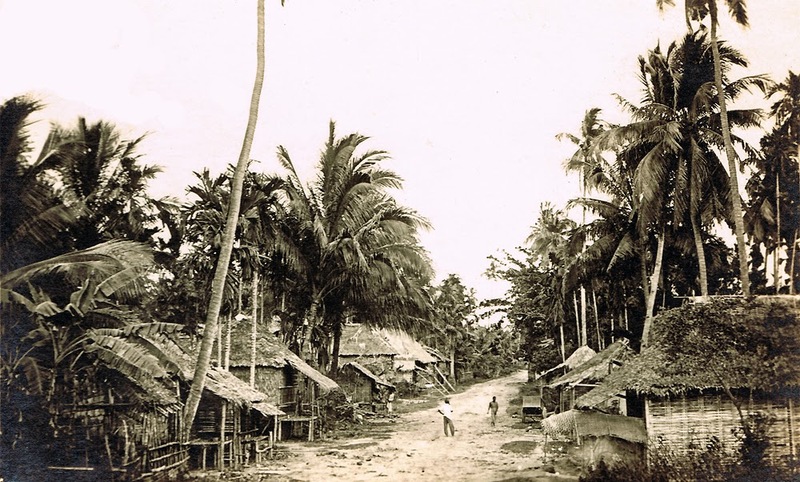 Iligan - circa 1903 - 1913 (photograph Wikimedia Commons). It was a pleasant surprise to hear DXRJ Iligan City on 1476 kHz for the first time on the 9th September 2005 at Millers Point via the FRG7 and 40 metre antenna. The station id was announced at 1620 UTC : "Listen to DXRJ AM 14-76 kilohertz on your radio dial, for useful information, for the latest news and entertainment. DXRJ - The partner for the total development of IIigan City, the city by the bay".
" Good day Gary! We were pleasantly surprised by your email (sorry for the late reply). We couldn't imagine our Iligan station can be heard from as far as the African continent! Thank you very much for informing us of your amazing discovery! Yes, that is indeed our signal. This is one of our provincial AM stations. We're glad you took the time on finding out about us. DX'ing never failed to baffle us. We received a similar report last year I think regarding the reception also of our Iligan signal, this time somewhere in Alaska. Your dxing is truly amazing given the distance between our locations (11 977 km / 7 442 miles), when in fact we ourselves, who are situated in the metro area, could not receive the Iligan signal. Again, thank you for sharing your info to us! Hope you keep in touch! " 3NE Wangaratta, Victoria on 1566 kHz was heard during the very good reception conditions experienced on the 6th March 2006 via the FRG7 and 160 metre BOG at Fish Hoek. General Manager Col Dayman kindly verified my reception report with a brief letter and included a coverage map with station stickers. The 3NE studio building situated in Wangaratta, Victoria. It was a pleasant surprise to hear and identify 4HI Emerald, Queensland on 1143 kHz during the excellent reception conditions on the 24th March 2006 via the FRG7 and 160 metre BOG at Fish Hoek. The 5 kw signal made it through over a distance of 7 278 miles / 11 712 km. Trent Towson kindly verified my reception report via email. Google street view of the 4HI studio building situated in Emerald, Queensland. Another station from Queensland, 4TAB Brisbane on 1008 kHz made it through during the excellent reception conditions on the 24th March 2006 via the FRG7 and 160 metre BOG at Fish Hoek. The station was heard through the dominant co-channel Radio Maputo, Mozambique. Chief Enginner Van Richards-Smith kindly verified my reception report via email. 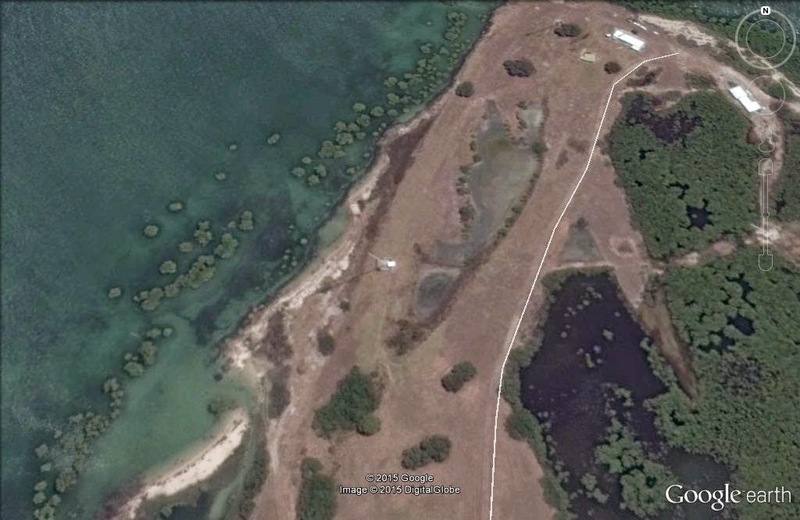 Google Earth Image showing the 4TAB antenna tower situated at North Point, St. Helena Island, 21 km east of Brisbane. It was a pleasant surprise to hear and identify 4LG Longreach, Queensland on 1098 kHz on the 24th March 2006 via the FRG7 and 160 metre BOG at Fish Hoek. The 2 kw signal made it through over a distance of 7 115 miles / 11 450 km. Co-channel 6MD Merredin WA is the usual dominant station heard on 1098 kHz during good reception conditions from Australia. Station Manager Matt Stephens kindly verified my reception report via email. The 4LG transmitter site, showing the transmitter building and part of the 128 metre antenna mast. 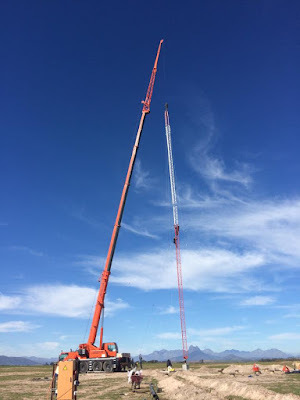 The most distant Australian MW radio station transmitter from Fish Hoek, South Africa is 4TI Thursday Island, Queensland on 1062 kHz (a distance of 7 640 miles / 12 296 kilometres). 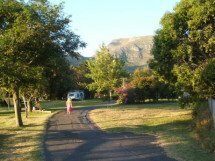 The 2 kw signal made it through to Fish Hoek on the 21st March 2006 at 1918 UTC with a dramatic on-location report of cyclone damage in Innisfail. 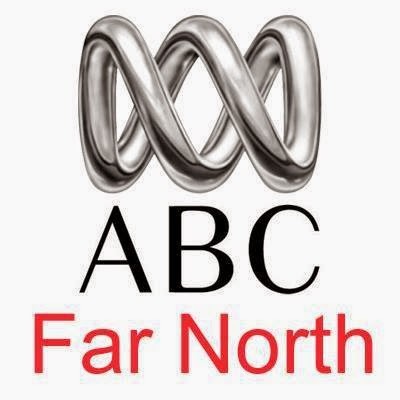 Station identification was heard at 1929 UTC as "ABC Far North" (heard via the FRG7 and 160 metre BOG). Communications Officer, ABC Transmission Public Relations, Jo Lindsay kindly responded to my reception report with a detailed email verification. Thursday Island township - the most northerly town in Australia (photograph Wikimedia Commons). It was a pleasant surprise to hear and identify 4ZR Roma, Queensland on 1476 kHz on the 6th March 2006 via the FRG7 and 160 metre BOG at Fish Hoek. The 2 kw signal made it through over a distance of 7 146 miles / 11 500 km. I received a brief e-mail verification from Programme Director Trent Towsen. General Manager Kerri Collins also kindly responded with a friendly email reply. 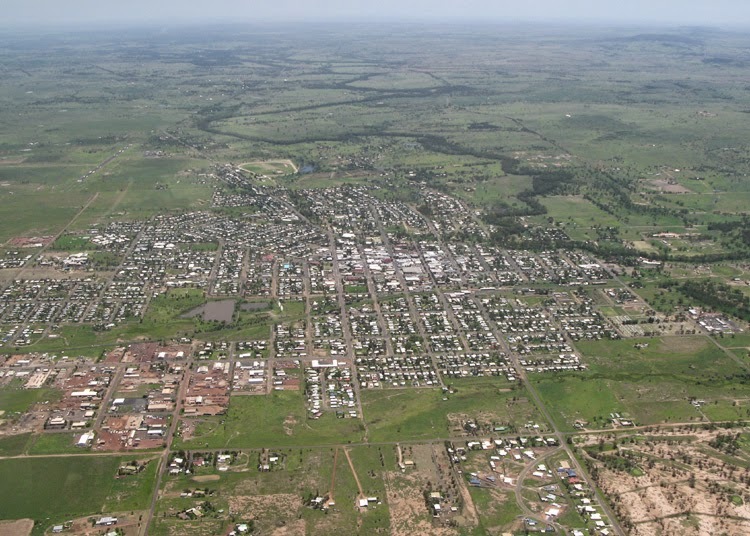 Roma, Queensland - an aerial view. The station's 52 metre antenna mast is situated just beyond the eastern outskirts of the town (photograph Wikimedia Commons). The 400 watt signal from 6GS Radio Great Southern , Wagin WA on 1611 kHz made it through to Millers Point during August 2004. Operations Manager Norm Chilcott kindly verified my reception report with a brief email reply. The 6GS studio building, situated in Tavistock Street, Wagin, Western Australia. 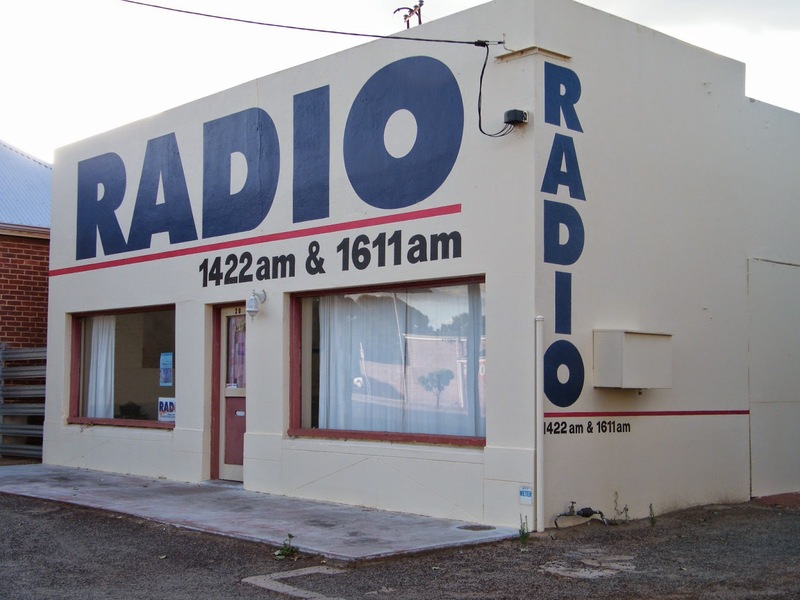 Vision FM Kalgoorlie on 1431 kHz was heard for the first time on the 12th August 2004 via the FRG7 and 80 metre antenna (directed towards Australia) at Millers Point.
" ... We are pleased to confirm that you indeed heard Australia's Vision Radio Network (then called 'Vision FM') on 1431 kHz, emanating from a 500 watt transmitter in Kalgoorlie, WA. 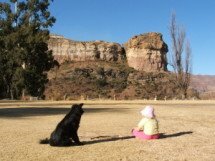 I recollect receiving and replied to a reception report from South Africa over a year ago - perhaps it was yours and the reply went astray in the mail. At the time I was surprised that the signal got that far, highlighted by the clarity of your audio grab. " Located off the Goldfields Highway on the south-east edge of Kalgoorlie, Western Australia, the Super Pit Goldmine is Australia's largest open-cut gold mine (Photograph Wikimedia Commons). 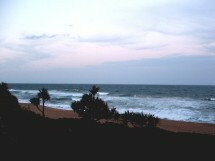 The Deutsche Welle relay station from Trincomalee, Sri Lanka made it through on 1548 kHz on the 5th July 2005 at Umdloti beach in Kwazulu Natal. 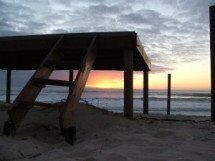 I directed a 80m antenna across the beach towards the Far East - a few metres from the shore break. The strength and quality of mediumwave stations received from the Indian Ocean Islands and East Asia was remarkable. I received the above QSL card in response to my dx report. In 2013, Deutsche Welle handed over the shortwave and mediumwave relay station in Trincomalee to the Sri Lanka Broadcasting Corporation. The bay of Trincomalee, Sri Lanka (Photograph Wikimedia Commons). Radio Taiwan International (RTI) Kouhu was heard on 1098 kHz on the 7th December 2005 via the FRG7 and ALA 1530 loop antenna at Fish Hoek. I was fortunate to receive a QSL card (with incorrect frequency) in response to my reception report. Google street view showing the RTI antenna masts, situated at Kouhu, Taiwan. CKLW made it through over a distance of 13 337 km (8 288 miles) on 800 kHz on the 24th December 2006 via the FRG7 and ALA 1530 loop antenna at Fish Hoek. Pleased about the rare appearance of this station which had to compete with regular co-channel stations Radio MEC Rio de Janerio, Brazil and TWR Bonaire. Programming Assistant Tania D'Angela kindly responded to my reception report with an email verification. 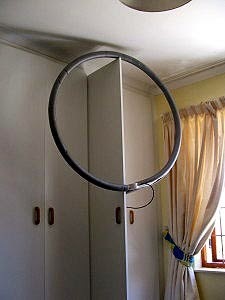 The ALA 1530 loop antenna, used to receive CKLW while suspended from a cupboard door at home at Fish Hoek. 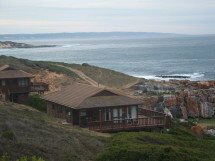 It was a pleasant surprise to hear XEPE on 1700 kHz over a distance of 15 858 km (9 854 miles) on the 13th September 2006 via the FRG7 and a beverage antenna during a dxpedition to Seefontein. Bill - XEPE-1700 - Cash 1700 ". 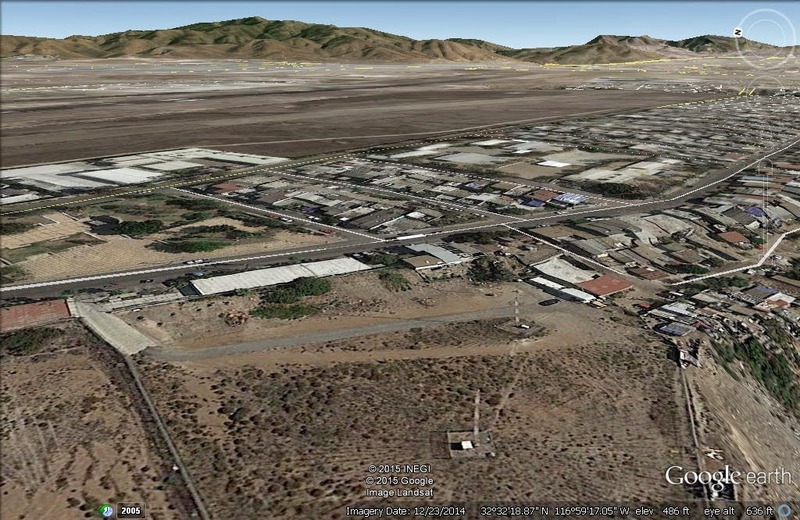 Google Earth Image showing the two XEPE antenna towers in the foreground, situated in Tijuana, Mexico. WELCOME TO CAPE DX ! Cape DX consists of loggings, verifications and audio mainly from various mediumwave radio stations around the world. 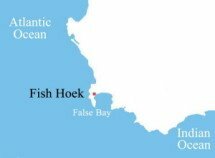 Unusual reception in Fish Hoek and various coastal DXpeditions around South Africa will be included. 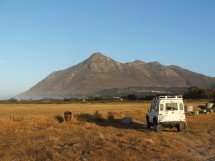 Born in 1958 and dxing since 1972, I live in the picturesque coastal village of Fish Hoek, approximately 25 km south of Cape Town, Western Cape, South Africa. 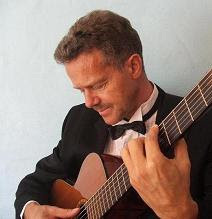 I am an established professional guitarist, composer and musical director of Sound Image, a popular function band in Cape Town. AFRTS, Diego Garcia 1485 kHz (200 watts) 17 July '91. Volcano Radio, Ascension Island 1602 kHz (500 watts) 5 May '79. Radio St. Vincent, Kingstown 705 kHz (10 kw) 9 May '79. Click onto QSLs for the reverse side. Radio Belize 834 kHz (20 kw). KFI Los Angeles, California 640 kHz. CBW Winnipeg, Manitoba 990 kHz. 4ZB Dunedin 1044 kHz (10kw). KTWG Agana 801 kHz (10 kw).